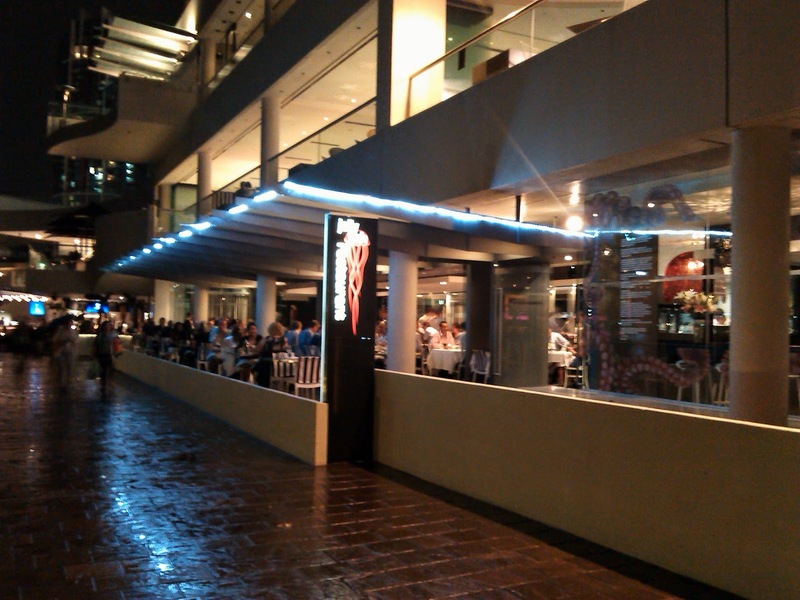 Jellyfish has a great location on the river in Brisbane and the covered outdoor set up makes the most of the location. From inside you still get good views even on a showery overcast evening. 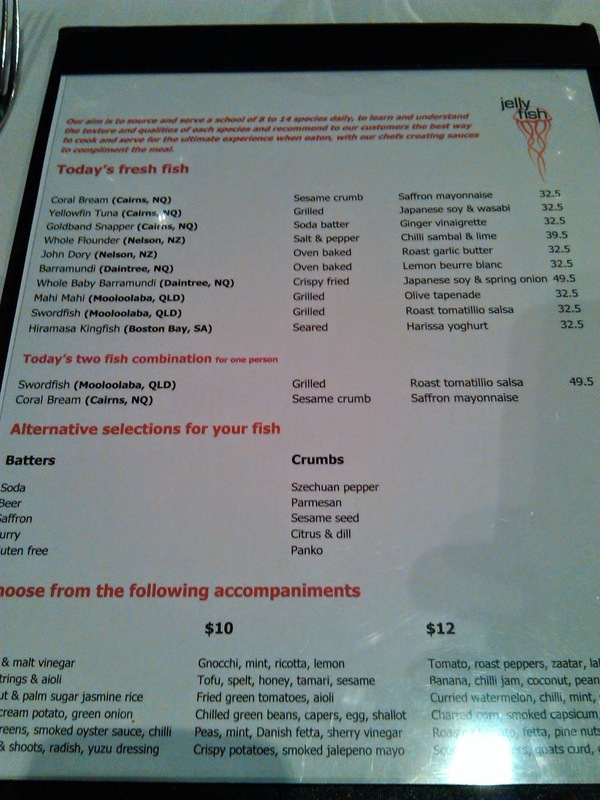 I visited with a couple of work colleagues and once we sat down the menu was explained to us, with the fresh fish and the style of cooking changing daily. There are also some 'regular' dishes. 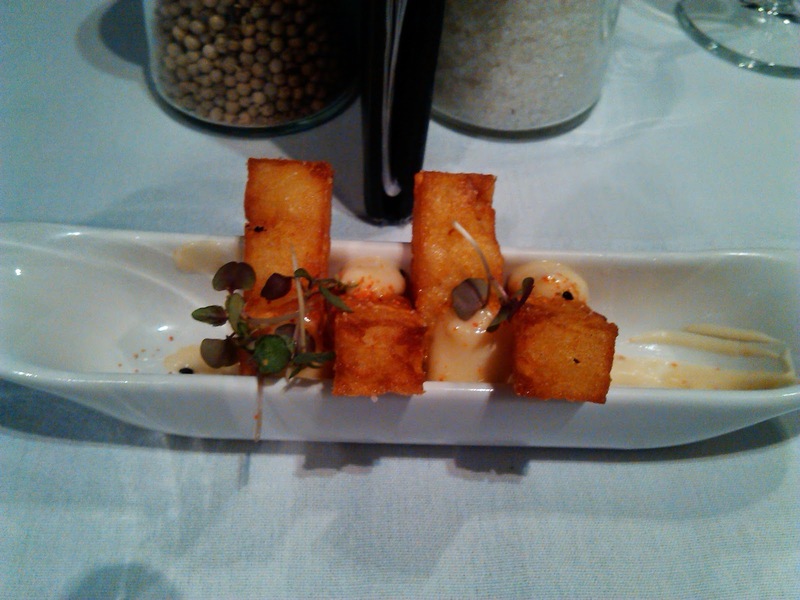 We were offered an amuse-bouche triple cooked chips with a chilli mayo, which were crunchy outside and soft inside, nicely setting the tone for the meal. 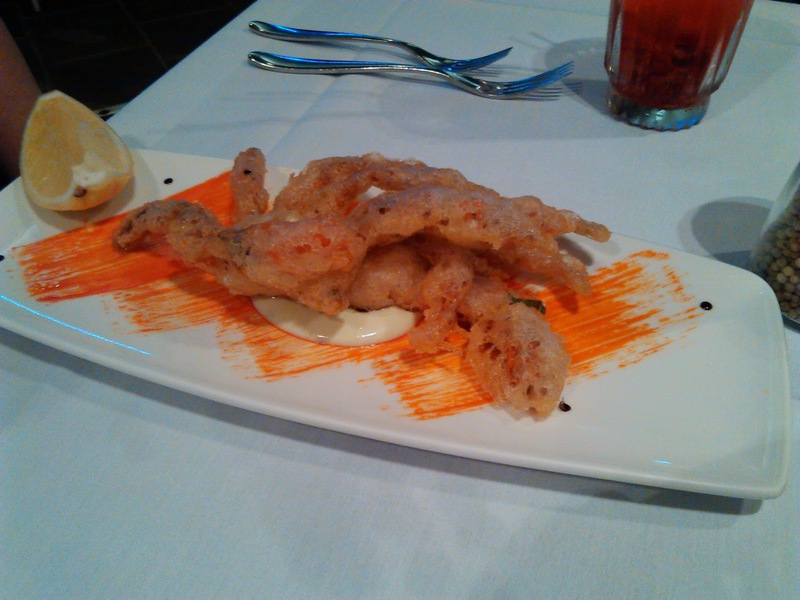 The tempura soft shell crab with wasabi mayonnaise and spring onion had plenty of the visual wow factor, and seemed to be a winner. 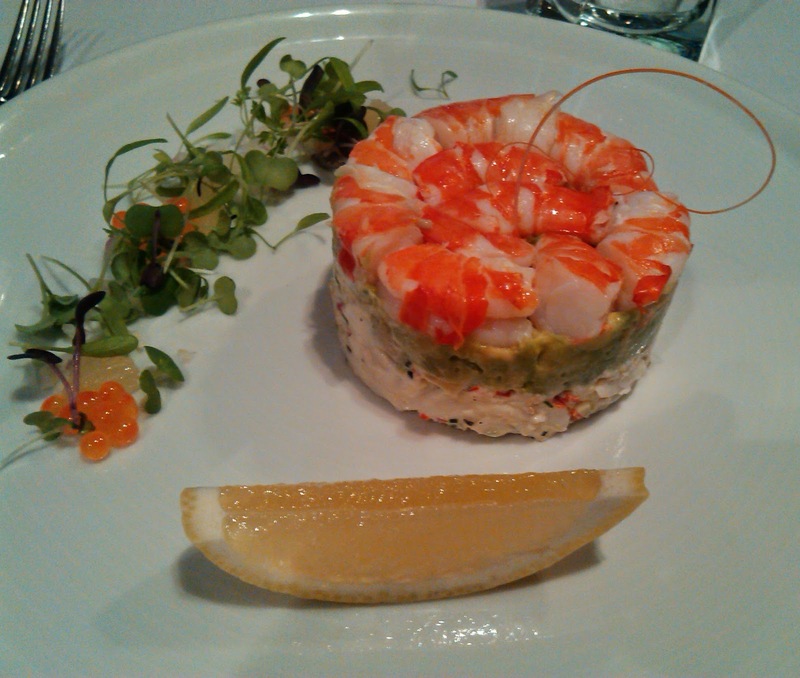 I had the chilled local tiger prawns & avocado tian, crab and celery remoulade which didn't look bad either and was full of smooth textures. The combination of flavours was somehow reminiscent of '80s prawn cocktails in a very good way! 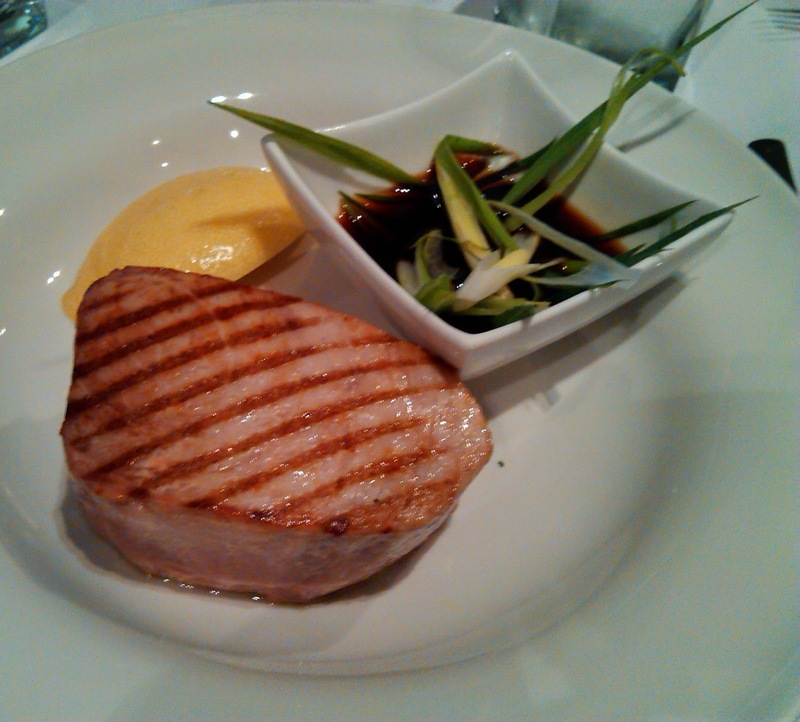 I requested my grilled yellow fin tuna with Japanese soy and wasabi rare, but it seemed more medium rare to me, but that wasn't a huge problem. 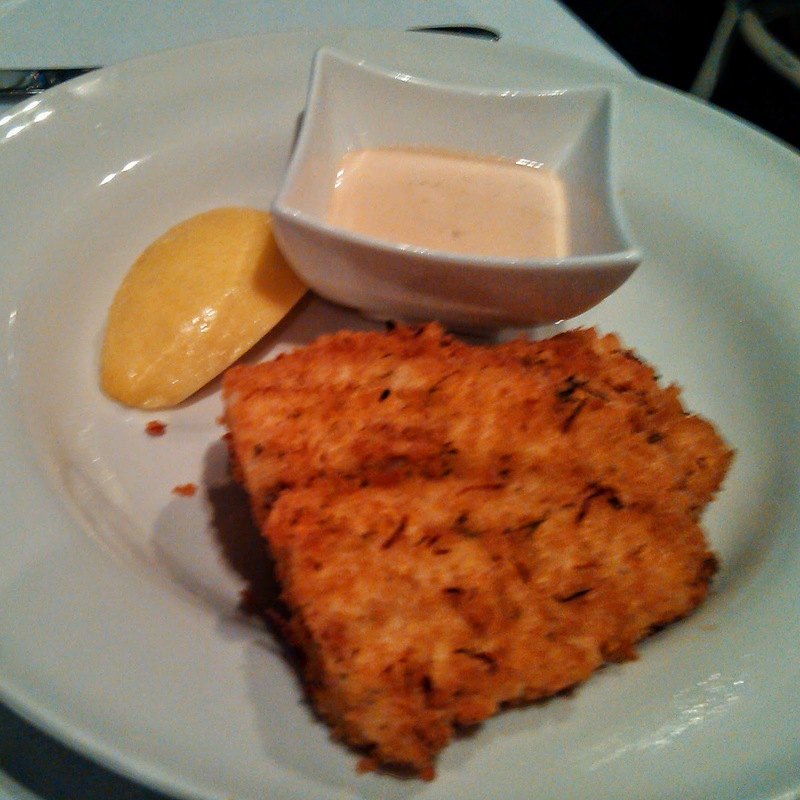 The fish was fresh and nicely complimented by the dressing. 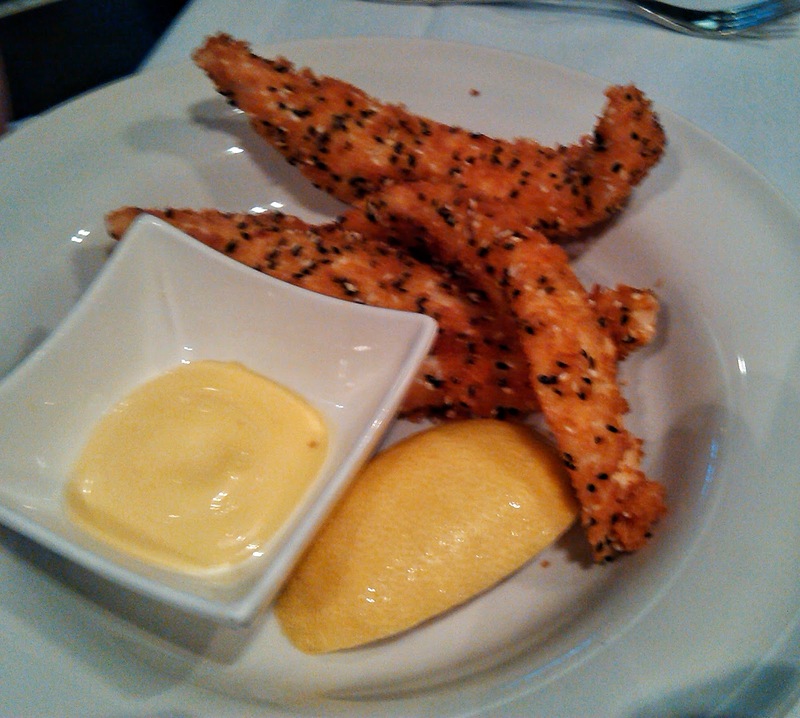 The sesame crumb coral bream was super fresh and moist and complimented nicely with the saffron mayo. The citrus and dill looked good on the barramundi. 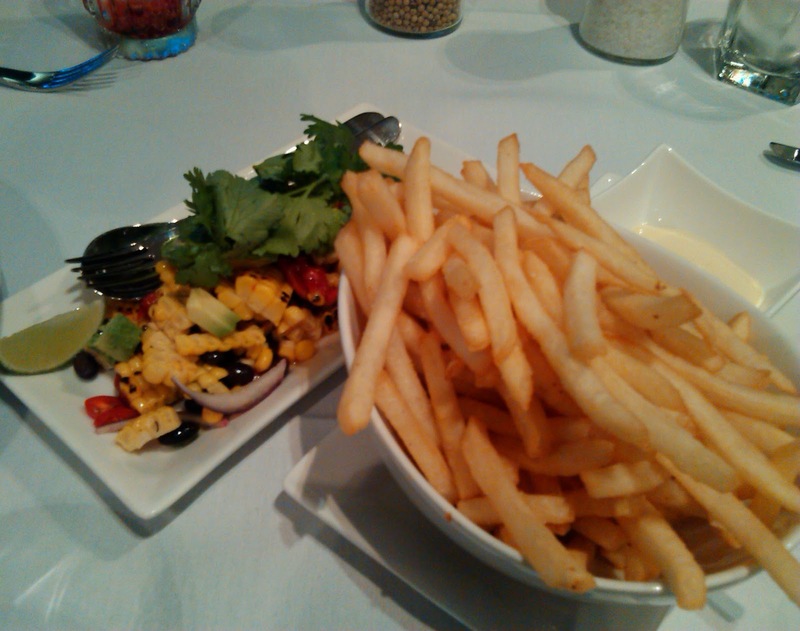 We shared a few sides including some fries, asian greens (not snapped) and a great roast pepper, corn and tomato salad. The service was great throughout, friendly and efficient. 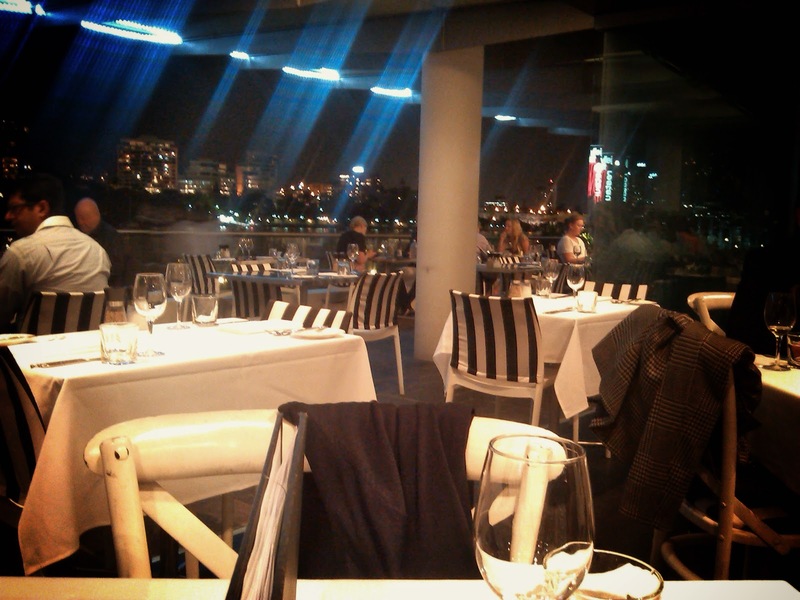 The bill was around the $65 a head mark, which seemed like fair value given the quality of food on offer and the location.